door | What? Why Bother? With the sun out this week, I took my Bessa 66 out with some B&W film in it. I won’t get the negatives back for a week or so, I always try to sent at least 2 films off at the same time, to make the postage more cost-effective. If the weather is good tomorrow I might go up on the Longmynd with my Belair, (last time I went I shot 3 rolls of film with my Olympus Trip 35 and Fed 2 cameras) and then I’ll post it all off. I’ve still not received the 12×6 film mask, so I’ll have to shoot 9×6 which is still a pretty big negative, and I’ll get a few more photographs out of my 120 film. 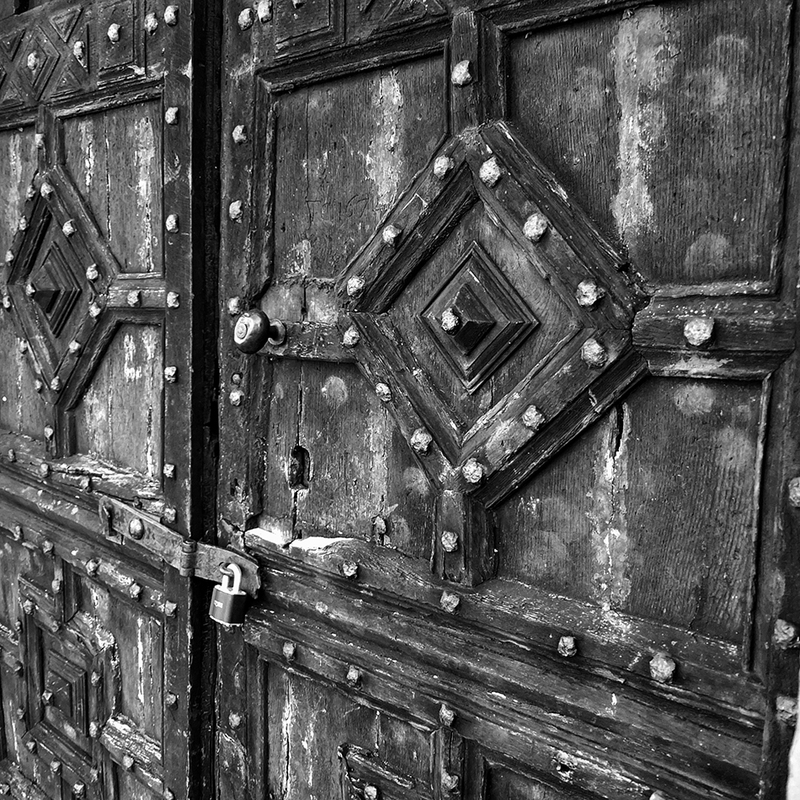 This is one of the things I shot with the Bessa 66, this is a great door on the remains of Old St Chad’s church in Shrewsbury, which collapsed in the late 1700s. All that is left is a side-chapel with this weathered door on it. I took this with my Fuji XF1, I expect the film version will look quite different.